Careers with hedge funds may interest MBA graduates and finance professionals because of their significant financial rewards. However since the number of employers are small the competition to enter a hedge fund company is fierce. 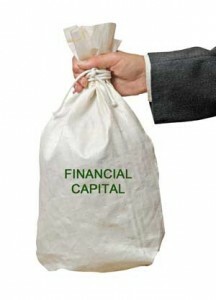 This article briefly covers hedge fund and hedge fund as a part of financial industry. If you are a finance professional and are looking for careers with hedge funds you can learn how the work and the environment looks like. A hedge fund is a lightly or unregulated investment fund used by high-net-worth people and institutions for high risk, short-term aggressive investments. Even though its name seems confusing to most of us, at the beginning investment managers use the hedge fund term as a hedging strategy. In trying to lower any risk with the existing positions in their portfolios, the hedge fund managers make extra trades to offset market price fluctuations. In a hedge fund environment a manager trades long/short equity. What he actually does is buying an undervalued equities and selling overvalued equities. Unlike highly regulated mutual funds that restrict the use of short selling and derivatives, unregulated hedge funds allow strategies to accelerate performance or reduce volatility. And since there are different hedging strategies, professional investors expect the hedge fund to stay within its area of specialization. If mutual funds are not able to protect portfolios against declining market, hedge funds are often able to lower the risks by utilizing various hedging strategies. A true hedge fund is an investment vehicle with a priority to minimize investment risk and get profits under all market conditions. Are you still interested in careers with hedge funds? What are Careers with Hedge Funds Like? Compared to traditional investment banks hedge funds are relatively small companies. With sizes ranging from 2 to 500 employees, their cultures are highly influenced by the owners — who also act as hedge fund managers. A hedge fund manager oversees the operation of the hedge fund company. It means that he or she would be responsible for monitoring the risk of the portfolio, making trading decisions, hiring staff and making sure that operations departments are in order. Besides the hedge fund manager, there are two key functional roles within a hedge fund: the investment analyst and the trader. Analysis and due diligence for investment decisions are the main tasks of an investment analyst. The typical investment analyst has either had two and three years of full-time work experience in financial services and has earned an MBA degree. The trader primary role is to execute investment ideas provided by the investment analyst. The typical trader has either earned a college degree and has two to three years of full-time work experience. So careers with hedge funds are demanding but they are also fun if you like varieties in your daily tasks. A traditional mutual fund compensates its management based on a percentage of assets under management. But hedge funds reward managers with performance incentive fees as well as a fixed fee. For hedge funds, the goal of getting profits under all circumstances truly needs a higher competency and talent. Not surprisingly, hedge fund industry tends to attract the most talented investment managers. Working at a hedge fund is more intense than at an investment bank! You won’t find support functions, such as human resource department, that eases the workload of investment bankers or traders at a mutual fund. Since the burden falls on the hedge fund manager, employees are expected to aid with interviews of new employees. That is careers with hedge funds information. Now, it’s your turn to use the information for hunting a job in hedge fund industry.